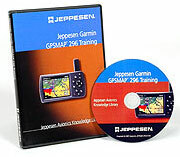 The VFLITE (now Jeppesen) Garmin GPSMAP 296 Interactive Guide is an advanced, self-paced digital learning program that provides training on almost all operational aspects of the Garmin GPSMAP 296. 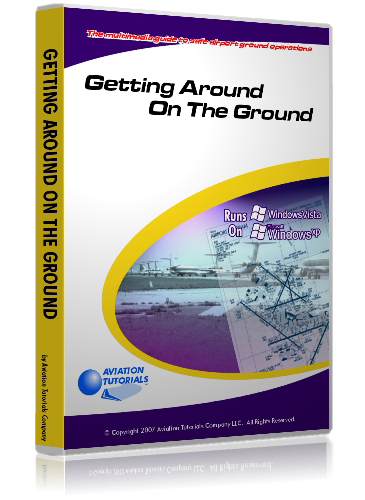 It utilizes a two-step process that helps users learn procedures in a linear, scenario-based fashion. 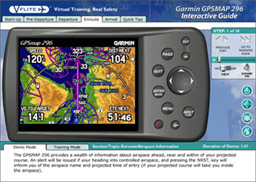 This new VFLITE ™ Interactive Guide continues the award-winning tradition of computer-based training that maximizes use of your Garmin GPSMAP 296. It's the easy, proven way to get confident with all that Garmin's powerful new GPS has to offer.